Julian Price envisioned an ideal of livability and then worked to realize that dream. He combatted racial injustice and environmental neglect via his radio production skills, offering programs he created to public radio stations for free. He backed Green Line, an alternative newspaper espousing environmental awareness, and its offspring, the community weekly Mountain Xpress, acting as an editor and source of story ideas. He helped launch The Fund for Investigative Reporting, knowing that stories uncovering systemic problems were essential to creating change. 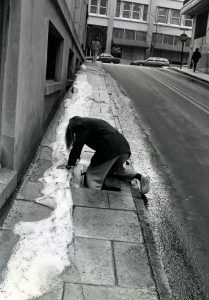 He started his own quarterly newsletter, CityWatch, which encouraged citizens to identify city problems from hazardous sidewalks to uncontrolled weeds – and then he photographed and featured them in his publication. Price battled corporate control of media and billboard advertising by funding Citizens for Media Literacy. And he channeled his worry about Asheville’s growth by supporting Citizens for Quality Development. 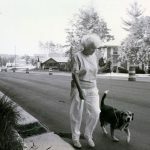 Throughout his time in Asheville, Price gave generously to organizations fighting for social justice and those working to maintain or restore the area’s natural beauty. Despite his personal reserve, he was unafraid to chastise those who impeded true progress just as he inspired others to push for what was fair and right. Almost everyone who knew Julian Price describes him as gentle, quiet, and somewhat shy. Yet, they also speak of his unshakeable determination to do–and help others do–the right thing. He fought for fairness, transparency, open-mindedness, and a better place to live for everyone, not just for the well-heeled. One tool for accomplishing these goals was his media training. When he lived in California, using a “company” name of Independent Radio, he produced radio programs on a range of topics from the Ku Klux Klan and racial justice to gun control, from forest and farm conservation land stewardship to road signage farming, adding beautifully written narratives and meticulously planning each episode minute by minute. One of Price’s early stops in Asheville: the Miles Building on Wall Street, which housed, in two small rooms, a monthly newspaper called Green Line. In 1988, Jeff Fobes, now publisher of Mountain Xpress, started Green Line with the WNC Greens, an organization that espoused causes such as non-violence and environmental awareness, loosely inspired by the Greens Party in Germany. Its formation was a little like the rise of the Asheville Drum Circle, says Fobes, gathering steam on its own. On a monthly budget of $200, the paper distributed 2500 copies with no ads. Yearly subscriptions were $12, and the paper had to sell twenty subscriptions a month to cover costs. Initially, Fobes wrote the paper on other people’s computers but soon bought one and, in 1989, began publishing the paper on his own. Somehow, Price reversed Whalen’s decision, says Fobes. The first issue of the new weekly, Mountain Xpress, came out in August, 1994. 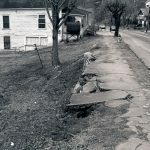 An assignment editor at Mountain Xpress for several years, Price offered scores of creative story ideas–about abandoned houses, downtown toilets, junkyards, trash pickup, and more–complete with questions and contact information for possible interviewees. “Julian was attracted to topics that seemed mundane to many environmental politicos, but that proved to have broad appeal to regular people,” says MacLeod. The ideas, thoughtful and quirky, often suggested new ways to present topics, like writing about deadbeat dads from a dad’s point of view. 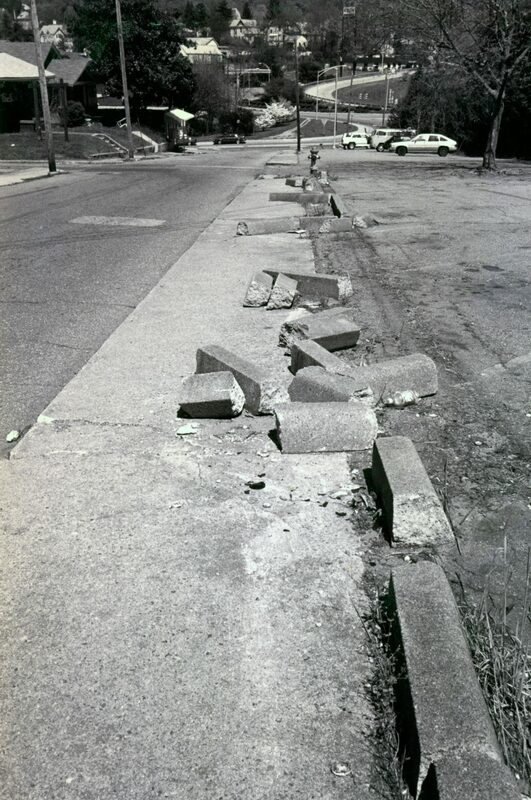 Price also contributed a series called “General Dysfunction,” short pieces with Price’s photos identifying city problems. One showed sanitation workers emptying only full garbage cans, leaving half-full ones untouched. The caption: “One of our crack investigators uncovered why downtown trash containers sometimes overflow…” Of course, the “crack investigator” was Price. By the late 1990s, Mountain Xpress was still in the red. Price offered one last check of about $100,000. “He said, ‘Good luck. I think this is enough to keep you going for another year,’” says Fobes. “I knew it was hard for him to say don’t come to me for more.” The paper broke even in 2005 and now has a net circulation of 26,600, plus awards from the N.C. Press Association and the Association of Alternative Newsmedia. What Price and Squire hoped was that Allen and his freelance writers would craft investigative stories that other Western North Carolina publications would run. “But,” says Allen, “what we discovered was that the only newspaper willing to give up that much editorial control was Mountain Xpress because [staff] knew me and Julian, and if they had a question, they could walk across the hall.” Still, when publications like The Citizen Times wrote their own version of stories Allen offered, it felt like a victory. “[The stories] weren’t news,” says Allen. “We looked at systemic issues lying behind the news.” For instance, the Fund wrote many stories about campaign finance reform and did a lengthy investigation on water resources in the French Broad river basin, which helped establish a water authority in Buncombe, Henderson, and Madison counties. Although the Fund closed around 1999, Carolina Public Press, North Carolina’s first online nonprofit news organization devoted to investigative journalism, launched in 2011, sponsored by The Institute for Southern Studies. Around 1991, Price, a voracious reader, created The Alternative Reading Room (TARR) housed at the back of what became the Laughing Seed Cafe. “Julian was adamant that well-written materials from both the right and the left should be available and believed it was important to understand and consider other perspectives,” says Karen Ramshaw, Vice President of Public Interest Projects. But the room was not well used, despite its array of publications and computers with Internet access. As more people had access to the Internet, they leaned less on printed materials for information. Price’s conviction that words had influence remained unchanged: In the summer of 1992, he published the first issue of his own quarterly newsletter. Full of often hilarious captioned photos by Price, CityWatch highlighted issues like poor garbage pickup, pedestrian hazards, tree health, and smart city planning. 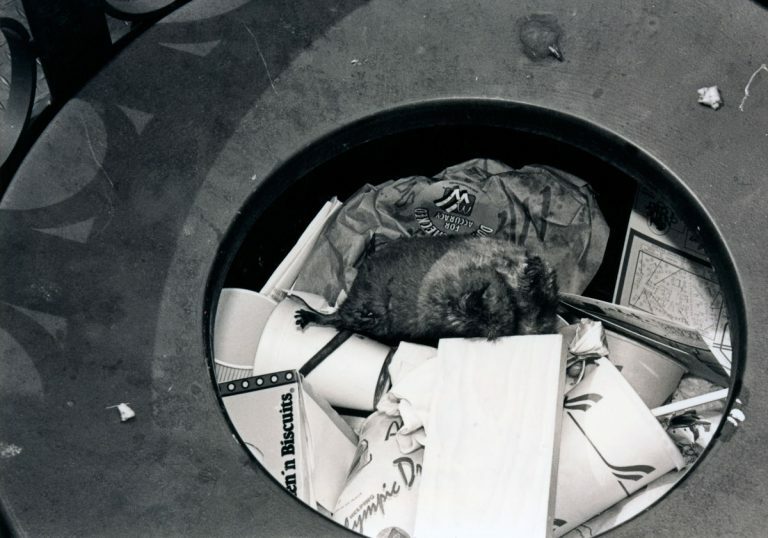 The second issue’s cover pictured a live rat in a garbage can unemptied for 11 days. The headline: “Downtown rat enters waste stream.” Another pictured sidewalk weeds several feet high. Its tongue-in-cheek caption applauded the city’s new chemical-free plan for dealing with weeds. 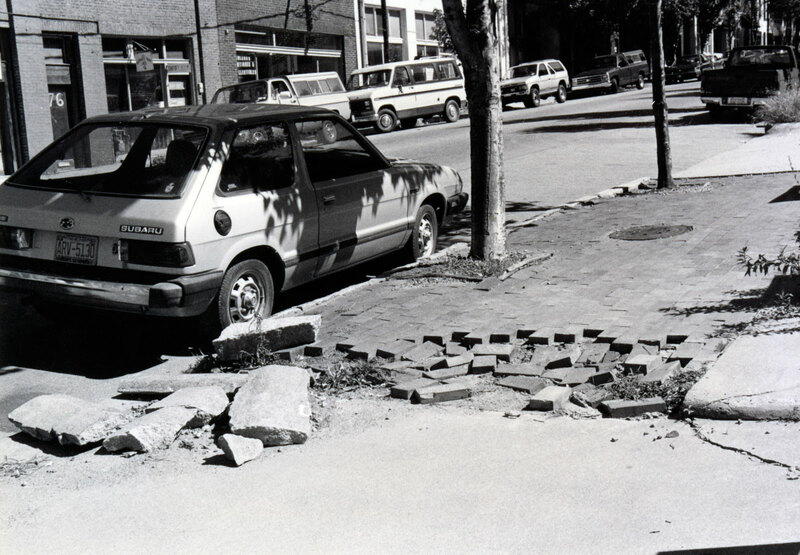 Price also asked readers to send in concerns–and they did, about blocked wheelchair ramps, broken sidewalks, tree topping, even sexual harassment of female walkers. Price ran only eight issues, ceasing publication in summer 1994. But for every issue, kudos streamed in. The paper and its importance were recognized by The Utne Reader and The Whole Earth Catalog, a renowned counterculture magazine and products catalog published from the late ‘60s to the late ‘90s. In January 1991, Wally Bowen, a former UNCA journalist, met Price for lunch. The pair had met a month earlier, brought together by Monroe Gilmour, a local social and environmental activist, and Price, of course, was interested in Bowen’s media literacy work. “I shared…my concern about corporate control of media and its corrupting influence on politics and public policy,” says Bowen. “Before long, Julian exclaimed, ‘Let’s do something!’” At the table, Bowen sketched out a lecture series, “Rethinking Democracy: Citizenship in the Age of Mass Media,” musing it would cost about $5,000 to $6,000. The success of the April series became the impetus for Bowen to launch Citizens for Media Literacy (CML) two months later. Price pledged two years of support, offering office space next to his apartment on Battery Park Avenue, $38,000 in startup money, and likely a similar amount the next year. “We then played our trump card,” says Bowen. “Our message would be the Surgeon General’s warning that appears on every cigarette pack and tobacco billboard, albeit in small print. But our message would be blown up to fill the billboard, white text on solid black. It was a message [the billboard company] couldn’t refuse.” After the ad ran, the billboard company dismantled the billboard structure altogether. CML went on to create an “information clearinghouse,” connecting with national and international networks. It assembled programs and teaching materials for teachers, parents, and citizens; crafted a monthly bulletin inserted in Green Line; and, through Bowen’s membership on its steering committee, became affiliated with the Annenberg School for Communication at the University of Pennsylvania. Bowen also found powerful speakers for CML’s annual symposium, two of whom Price was particularly eager to hear: Penelope Canan, an environmental sociologist and activist then at the University of Denver, and Rev. W.W. Finlator, then pastor of the Pullen Memorial Baptist Church in Raleigh, North Carolina, who fought racial injustice. In ‘95, Bowen founded Mountain Area Information Network (MAIN), a nonprofit community network and outgrowth of CML. That year, the National Telecommunications and Information Administration (NTIA) awarded MAIN an $800,000 grant to build a 12-county network providing affordable Internet access. MAIN remains in operation. 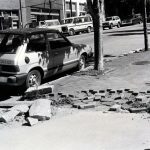 In the early ‘90s, Price asked MacLeod to address Asheville’s Unified Development Ordinance (UDO) process which was redoing all the laws about how Asheville would grow and develop. “Julian was concerned about the make- up of the UDO steering committees and their proposals,” says MacLeod. “Many committee members were people who, in Julian’s book, did not have the best interests of the community at heart.” Price wanted development that would add value to the community–for example, requiring trees in parking lots and sidewalks in new developments, and compact, walkable areas instead of auto-dependent sprawl. MacLeod, then a touring performer was initially hesitant: “I didn’t know anything about urban livability or local politics.” But she dove in, forming Citizens for Quality Development (CQD), culling information from Price’s library and attending meetings with politicians and local activists. In 1991, she hired Carolyn Wallace, then a consultant for nonprofit organizational development, to join CQD, and together they gathered support. “We wanted people [on the UDO committees] from the community who could help turn this Titanic around,” says MacLeod. The goal: To get the Unified Development Ordinance to encourage and enforce smart-growth, green-building and development practices that supported a sense of community. In Spring 1992, MacLeod sent out CQD’s first quarterly newsletter. 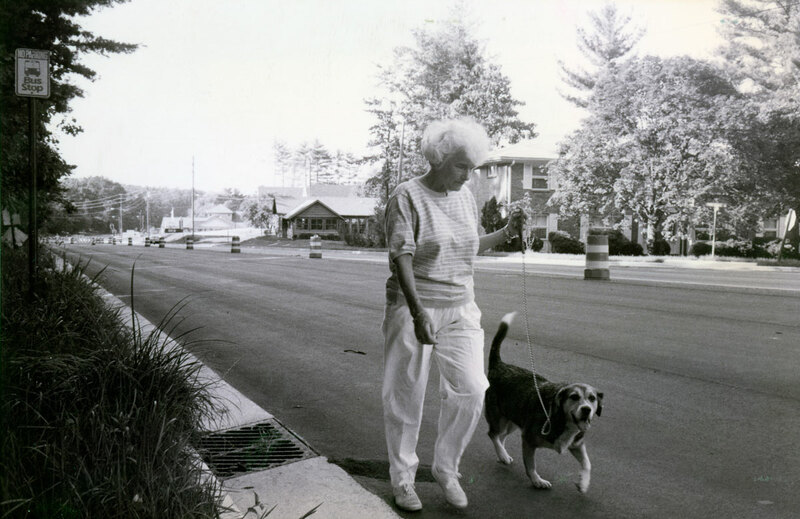 It presented the rationale for strong development ordinances that would increase home values, and it told stories about responsible–and thriving–developers who respected the existing landscape. Behind the scenes, Price offered ideas and creativity. He covered the salaries for MacLeod, Wallace and an assistant, provided office space and equipment, and paid for all CQD speakers and ads. Price’s notion of a liveable city was one built on fairness–and beauty. So he thrust himself into forming or supporting organizations that promoted social justice and responsible environmental stewardship. 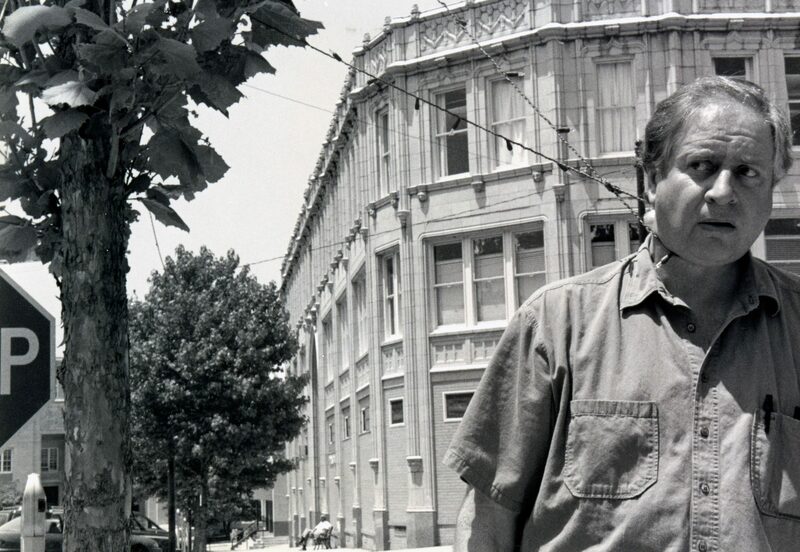 In 1990, activist Monroe Gilmour was coordinating an independent pact, North Carolina Senate Vote 90, focused on electing democrat Harvey Gantt, a two-term Charlotte mayor, to the United States Senate. Gantt was running against three-term Republican Senator Jesse Helms. “Helms notoriously put Gantt in every ad to remind [voters] that Gantt was black,” says Gilmour. Gantt lost the race but won in Buncombe County: “We made some of the best radio spots with those funds,” says Gilmour. Price continued to support causes Gilmour was involved in. For instance, in January ‘91, Price worked with Gilmour and other activists to place an ad in The Citizen Times, protesting the Biltmore Forest Country Club’s exclusion of blacks and Jewish people. The group became the WNC Citizens Ending Institutional Bigotry, which remains active. 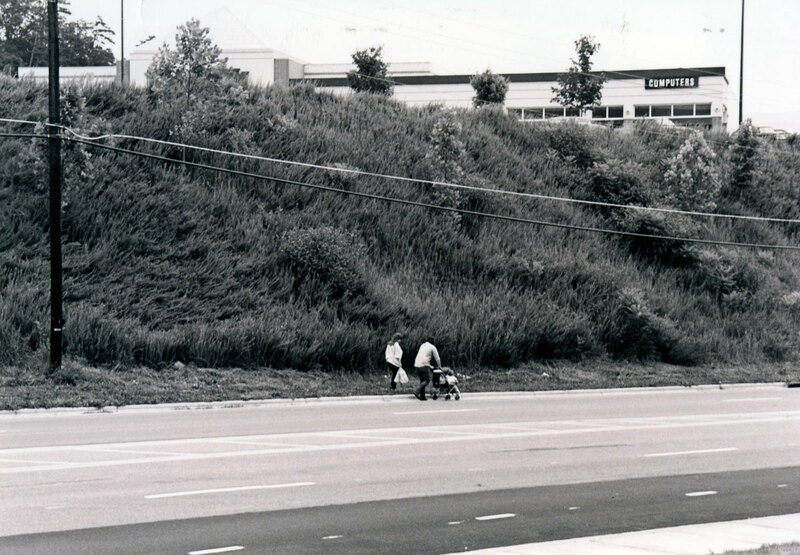 Before Price acted, he consulted Ed Ingle, then a Department of Transportation (DOT) Roadside Environmental Engineer for Western North Carolina. 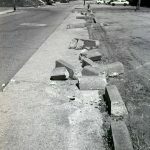 To stop the whacking, Price placed ads in City Watch, Charlotte Observer, and The News and Observer in Raleigh, showing the damage. Price and activists also littered city officials’ desks with protesting letters. 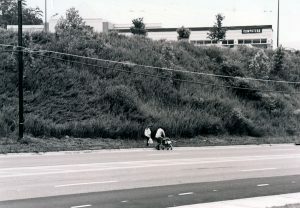 When Ingle’s boss in Raleigh accused Ingle of writing the ads, Price accompanied Ingle to a DOT meeting with Ingle’s immediate supervisors. “Julian just sat quietly,”says Ingle. “My boss thought he was my lawyer,” Later, Ingle’s supervisor realized who Price and his family were. “That carried a lot of weight,” says Ingle. The state stopped using the bushhog for several years, but later resumed the practice, Gilmour recalls. Price also went after billboards through an organization called The Swannanoa Valley Alliance for Beauty and Prosperity. Price particularly hated a day-glo orange Fuddruckers billboard on a highway near Asheville. One night, someone severed the orange billboard from its supports. “We always wondered who cut that billboard down,” says Gilmour somewhat mischievously. Price also donated trees to a church that had a billboard on its property, planting the trees so that as they grew, they hid the billboard. He was a savvy organizer, posting an introductory PAL ad in The Citizen Times with a tear-off form so that citizens could send recommendations about improving pedestrian safety. In subsequent ads, he ran pictures of hazardous intersections, explaining the dangers and again asking citizens to speak up. Price also sent out questionnaires to citizens about traffic-light timing and crosswalk markings. He generated articles in Green Line and contacted walking associations in other cities such as Tucson and Boston. He gathered research from other countries and attended Pedestrian Conferences. And he kept meticulous lists of goals and victories. 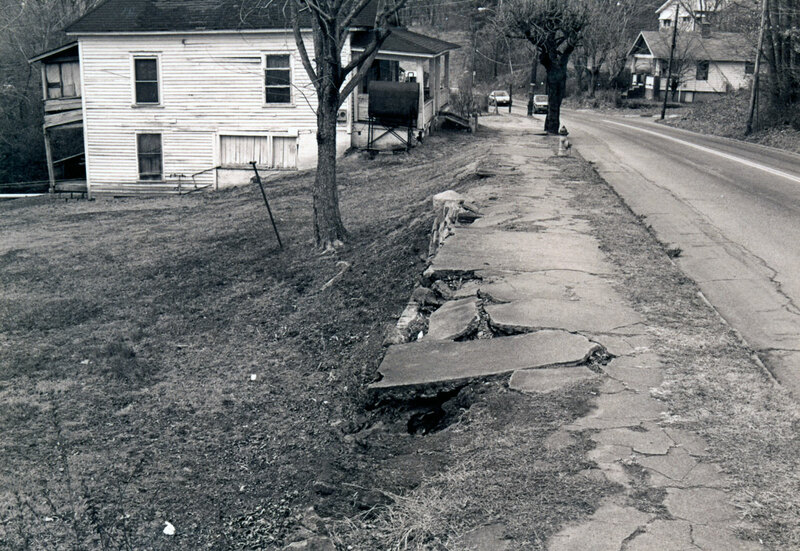 When almost a year had gone by without repairs to two particularly dangerous problems, he wrote a forceful yet courteous letter to James W. Ewing II, P.E., then Director of Public Works for Asheville. Price proposed two ads, one decrying Ewing for the lack of progress if the two problems hadn’t been fixed by December 16, 1991. The alternative ad thanked Ewing by name if the spots were repaired. Price made clear he intended to publish one–or the other. Within two days, Ewing sent a reply with specific dates when the spots would be addressed. Price’s correspondence with the city was voluminous, continuing until at least 1998, reply after reply telling Price when a project could be done. 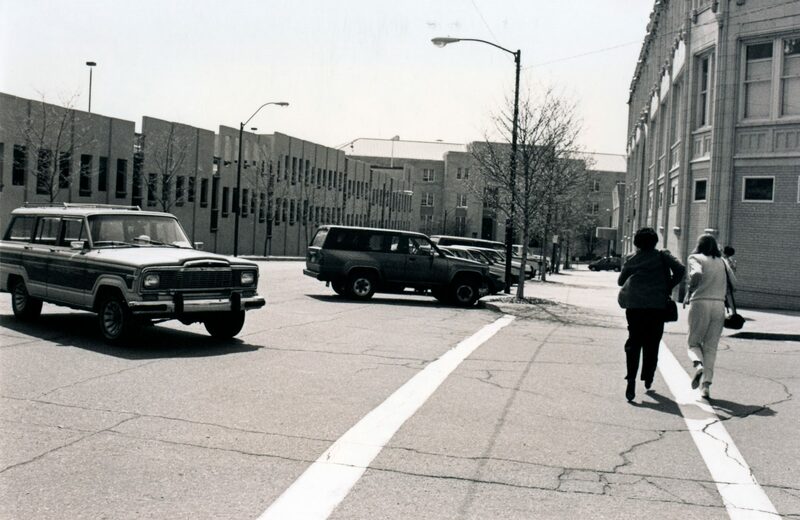 Price detested inaction, and his determined advocacy for social justice, environmental stewardship, and pedestrian safety was paired with an ability to inspire others and courteously chastise those who impeded progress. He was a gentleman of insistence.